XMRE, Menu 3 before opening. 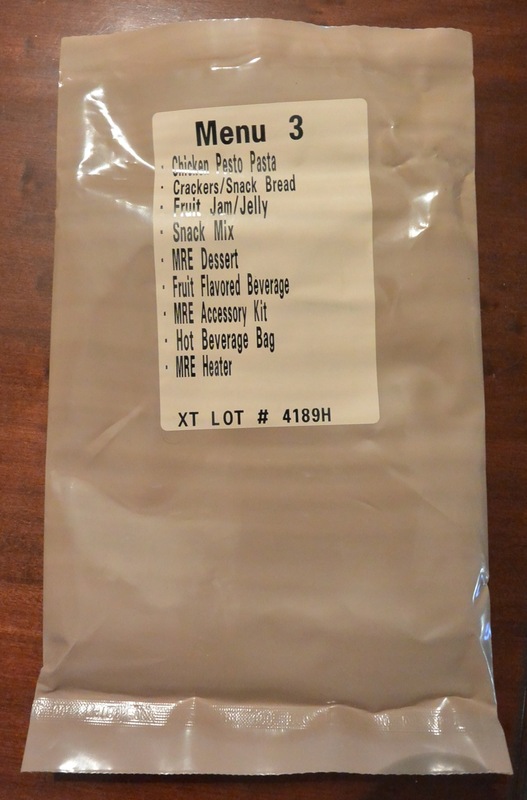 List of contents on back of XMRE, Menu 3 package. 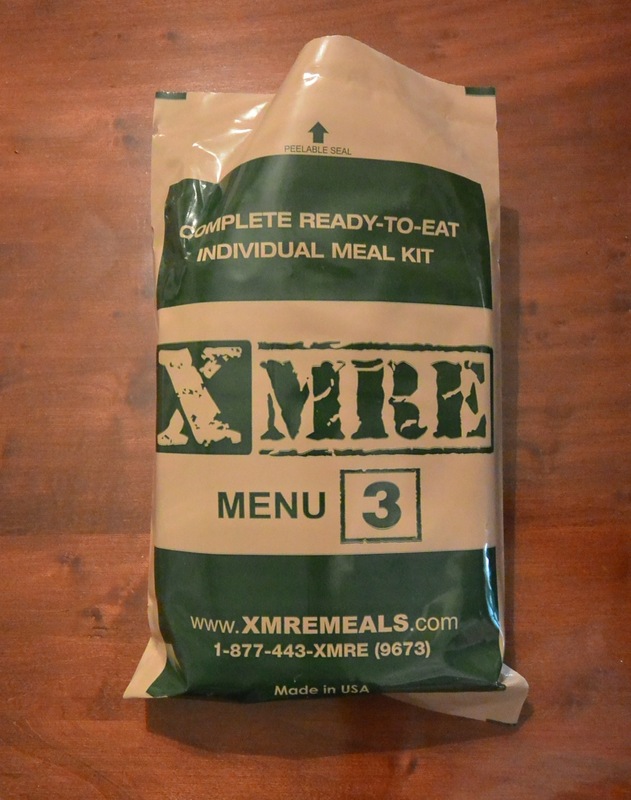 Contents of XMRE, Menu 3. Lemon/lime beverage mixed in supplied hot beverage bag. 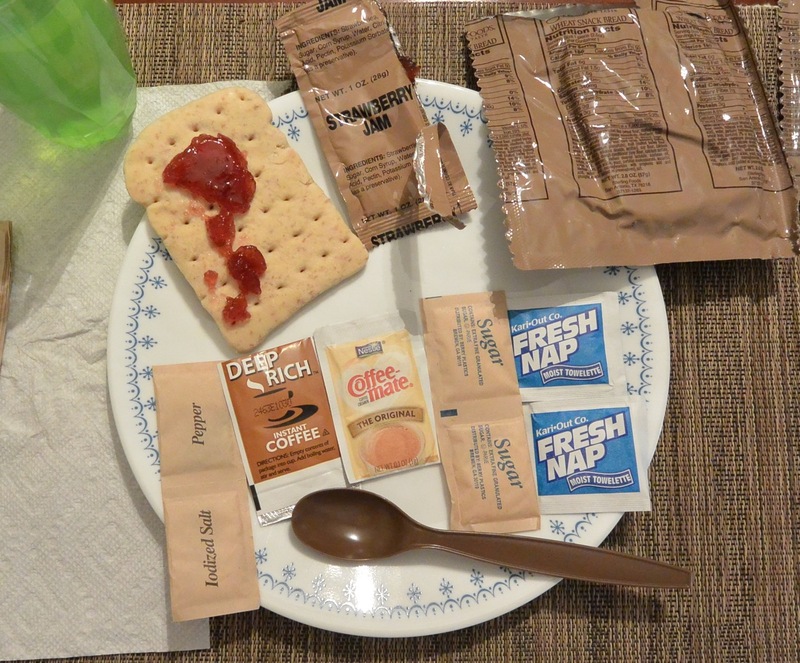 The wheat bread snack with strawberry jam and contents of the utensil/flavor pack of XMRE, Menu 3. …I sampled the wheat bread snack with strawberry jam. It was a little dry, but the jam was pretty good. Rice crackers in Menu 3 from XMRE. These are your standard rice crackers you’ll find in the grocery store. They were nice and crunchy, giving a change in texture to the other items. Would also be a nice snack for when you’re on the move. 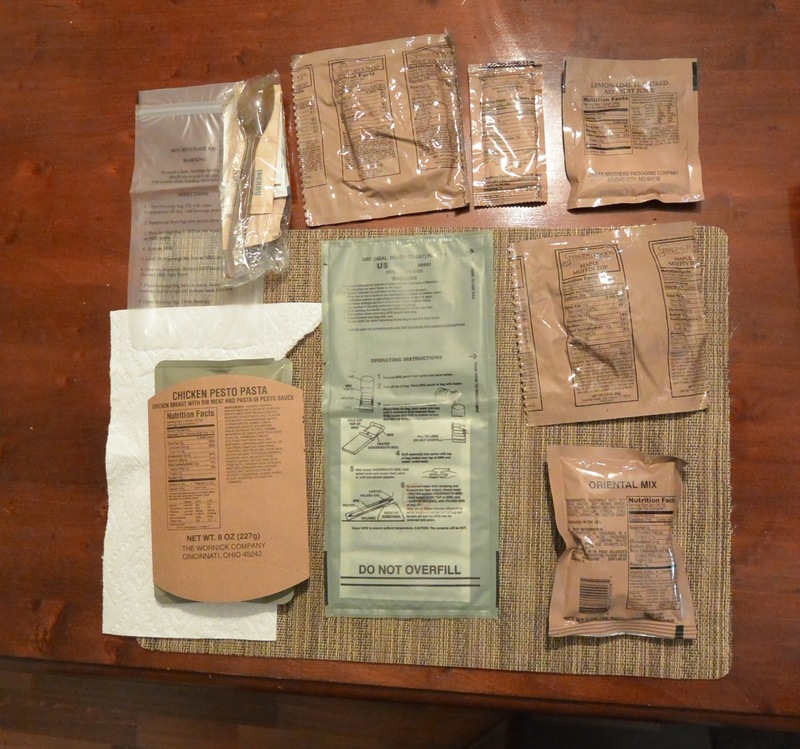 Heated entree from XMRE, Menu 3, still in pouch. 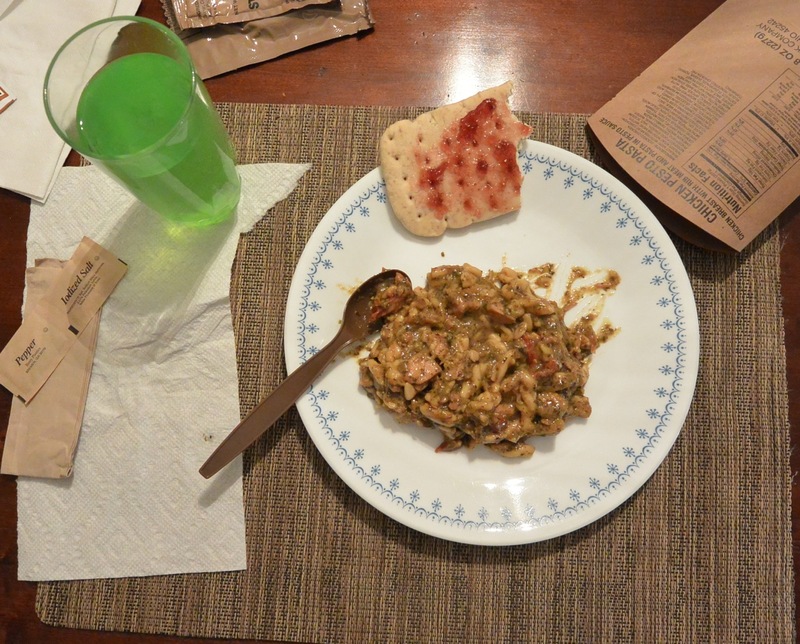 Chicken in pesto sauce from XMRE, Menu 3. Maple muffin top in XMRE, Menu 3. 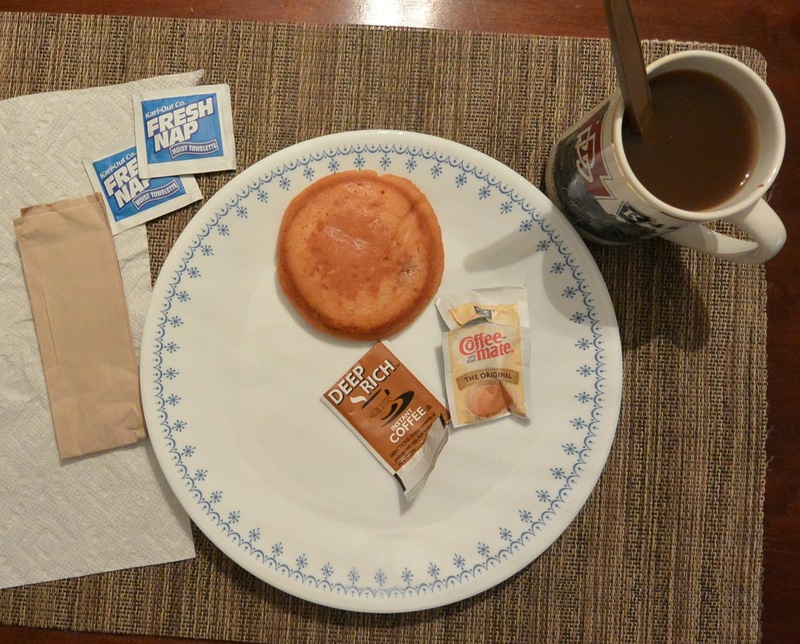 … that is the maple muffin top, that did have plenty of maple flavor. I made the instant coffee, which was kind of blah, but it’s instant coffee. Overall, this meal provide plenty of flavor and convenience. 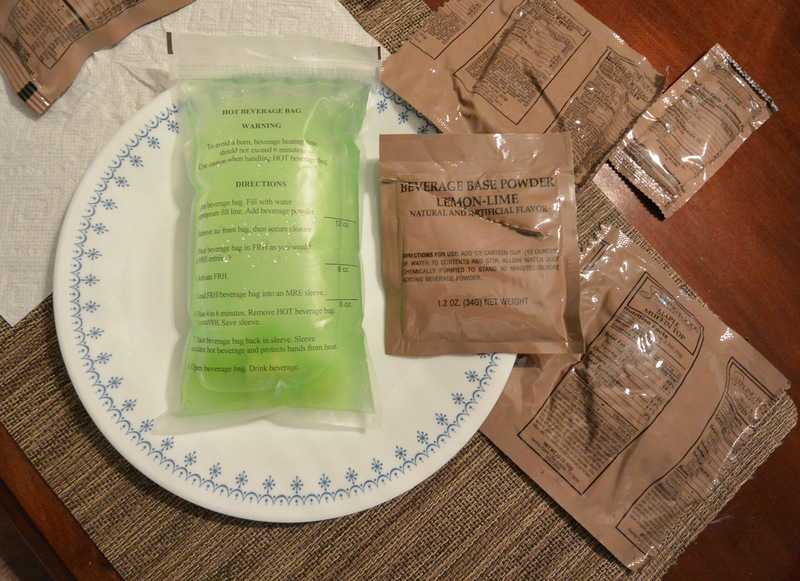 No, it is not a “military issue” item, but it is similar. 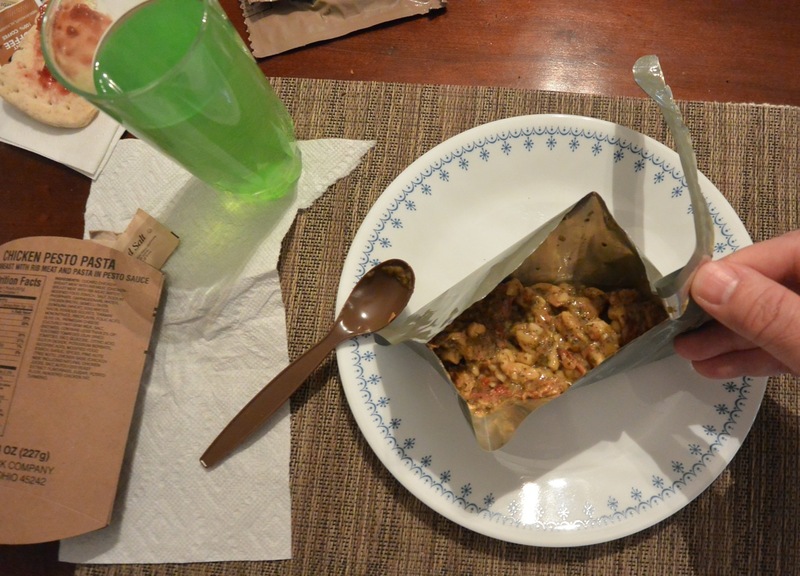 For the money, these are a great alternative to freeze-dried foods. They are a little bulky, producing quite a bit of trash at the end, but to keep the flavor, a price has to be paid. 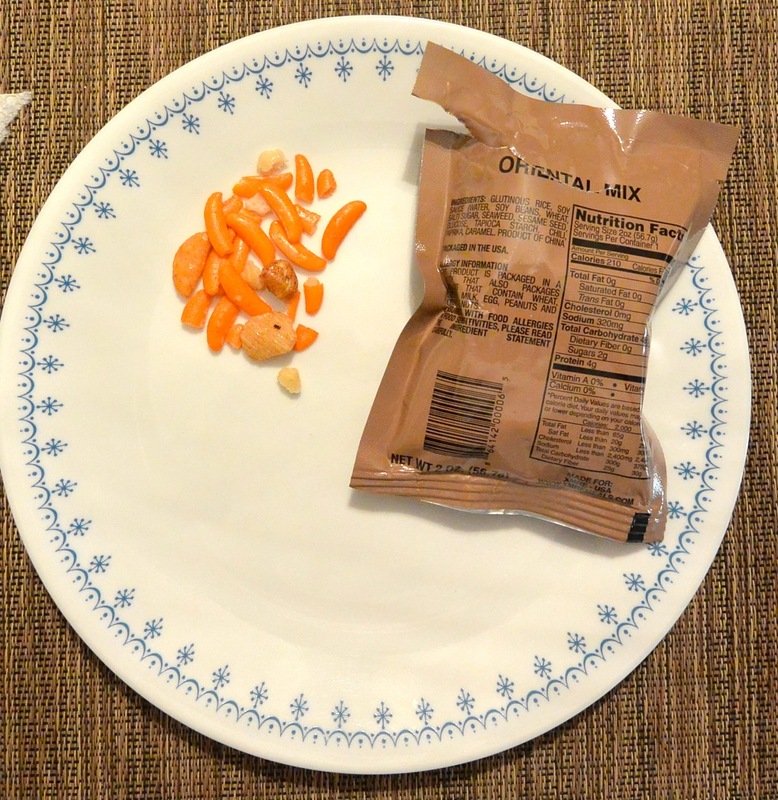 I’ll be making a video review of more from XMRE, so check back often.